Orlando Personal Injury Attorney | David R. Heil, P.A. Get the recovery you deserve! I will personally represent you in your personal injury case. I am a Civil Trial Attorney with over 33 years of experience in civil trial law. Your case will not be handled by an investigator, paralegal or case manager. Similar successful monetary results may not be seen by all clients seeking representation from Heil Law for accident or injury claims as each case is different. These results also reflect amounts awarded prior to deductions for attorney’s fees, medical bills, and other court costs. Personal injuries are enough to cause a family immense physical, emotional and financial stress in and of itself. The last thing you need in this situation is to worry about battling for your rights all alone, and finding the right Orlando personal injury lawyer can be a challenge. Over 33 years of experience as an Orlando personal injury attorney will help you rest assured that I can help you through this difficult process. With over 33 years of experience as an Orlando personal injury attorney and an accomplished trial lawyer, I provide first-class representation that is professional, attentive, and respectful of your specific needs. In the courtroom, my military background and extensive education shine through with my relentless determination to fight for the compensation you deserve. If you are injured due to the negligence of an individual or business, do not allow stingy corporations, unsympathetic insurers, or reckless drivers to cheat you of your well-deserved compensation. the process, ensuring that you and your loved ones receive the full respect and dignity to which you are duly entitled. I am the area’s most dependable and trusted Orlando personal injury attorney, covering a diverse array of cases with satisfied clients spanning throughout Central Florida. I personally handle each case with expertise, sophistication, and professionalism. Service and an uncompromised standard of performance have resulted in countless successful cases, ranging from thousands and millions of dollars in monetary settlements, over years of competent work. Whenever you or a loved one is forced to suffer pain, injury, trauma, or death on the fault of another person’s negligence, you must demand fair compensation with assistance from a knowledgeable Orlando injury lawyer. As a qualified personal injury lawyer in Orlando, I understand the deeply personal nature of each individual case and therefore ensure compassionate, responsive care that stands above the rest. Each case is unique, and I strive to understand all facets of your specific situation resulting in my effective and high-level ability to defend your rights. Insurance companies will attempt to intimidate and frustrate you into accepting a meager settlement, but they quickly change their tune in the face of a recognized and distinguished Orlando injury attorney. No one should have to take time away from an enduring and painful recovery to bear the stress and confusion of filing legal claims and aggressive litigation. Allow a dependable Orlando personal injury lawyer to handle negotiate complex legal matters while you focus on your well being. My services are available throughout Central Florida, including comprehensive care as a DeLand personal injury lawyer. The best time to begin preparing a personal injury claim is the very moment you are involved in an accident. Even if you only require brief legal assistance in understanding your rights, access to a dependable injury attorney in DeLand is only a phone call away. Residents of Melbourne enjoy the accessibility and convenience of my multiple office locations. My experience and professionalism are also available as an adept injury lawyer for Melbourne and other surrounding communities. Regardless of the circumstances of your accident, affordable and worthwhile representation is near. As more and more people visit the Orlando area in search of a memorable family experience at one of the many world-class attractions available, the frequency of accidents will, without question, increase as well. It is imperative that if you are the victim of an Orlando theme park accident that you seek the counsel of a qualified Orlando theme park accident attorney. Attractions like Walt Disney World and Universal Studios have more than enough money to afford huge teams of lawyers to fight against your Orlando theme park injury claim and it is impossible to fight them without the help of a theme park accident attorney. For over 33 years, I have fought for the rights of countless individuals who have been at the mercy of these gigantic theme parks and their teams of lawyers. I will work tirelessly in defense of your right to a settlement with these gigantic corporations. As your Orlando theme park injury lawyer, I do not charge a fee unless we win your case. Contact me today for a FREE CONSULTATION relating to the unfortunate experience that you have had on the property of one of our Orlando theme parks! As a dedicated personal injury lawyer for Orlando and the surrounding areas, I will represent your case to pursue the maximum fair settlement at no financial burden to you. If you are already struggling with the unexpected costs of medical care and missed wages, the last thing you need is the tiresome burden of exorbitant Orlando personal injury attorney’s fees. At Heil Law, I operate strictly on a contingency basis, meaning you assume no risks during your legal claim. I will personally complete all necessary steps and paperwork, requiring no payment whatsoever until a payment is won in your favor. At Heil Law, I offer representation to people who have been wrongfully injured due to incidents and accidents that were caused by no fault of their own. With my experience and the plethora of personal injury cases I have won in Orlando, I pride myself in being a recognized Orlando personal injury attorney. Irrespective of the pain and the injuries you have suffered due to other people’s negligence, I am ready to give you the aggressive representation you need to get the compensation you deserve for all that you have gone through. I shield you against the unsympathetic insurers, reckless drivers and the stingy corporate lawyers whose desire will be to ensure you get nothing for the pain and suffering arising from your personal injuries. The number of people experiencing personal injuries in Orlando increases each year, and it is imperative that if you are a victim that you get the compensation you rightfully deserve. The consequences of the injuries and deaths are usually characterized by a lot of pain, suffering and financial strain on those affected. In as much as I may not be able to understand or even ease the pain you have gone through, I will leave no stone unturned in ensuring you get the right compensation. Choosing the proper Orlando personal injury lawyer will have a direct determination on the representation and compensation that you receive. Fighting such cases on your own is never ideal because the insurance, hospitals, at-fault drivers and other involved parties will be keen to suppress your arguments so that you get little or no compensation. But when you have a dependable Orlando personal injury attorney as your legal representative, you will have fair and fierce representation which will lead to you getting what you deserve as compensation. All you have to do is get in touch with me for a free review of your case so that I can get planning on how to get you the compensation you deserve. Motor vehicle accidents are one of the major causes of personal injuries, and which you could trust my representation to help you get the compensation you deserve. Most of these cases stem from the negligence of another driver, and irrespective of the cause of the crash, they may lead to lifelong damages to the victims. 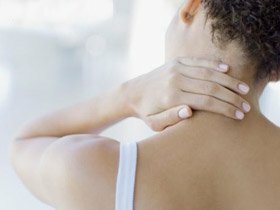 If you are a victim of motor vehicle accidents, then you may need a reputable personal injury lawyer in Orlando to help you get compensation for medical bills, future medical expenses, lost wages and for the physical and emotional suffering, you may have gone through as a result of the accident. Most slip and fall accidents can be avoided if the owners of the premises took reasonable measures to ensure proper safety within their premises. It means that if you slip and fall and get an injury within a premise, then there are higher chances that the owners of the premises are guilty of negligence. Some of these cases may result in devastating injuries that may, in turn, attract huge medical expenses. If you are a victim, my duty will be to help you show and prove negligence on the part of the owners of the premises so that you can get the compensation you need. Birth injuries comprise part of the most dangerous forms of medical malpractices. Negligence of the obstetrician may lead to physical injuries to the newborn and sometimes it may result in lasting disorders like brain damage, paralysis or cerebral palsy. As an Orlando personal injury attorney, I can help a family dealing with an injury to a newborn recover compensation for both tangible and intangible damages they may have undergone. Cases dealing with wrongful deaths are always tragic. It is not just that a life has been lost, but the loss of life is as a result of someone’s negligence. Though no amount of money will ever be enough to fill the void left by the departed, you will still need representation by a reputable Orlando personal injury attorney to get the right compensation for the death of the departed. Litigating such cases can be normally tough, and they require representation by attorneys with experience and that is exactly what you get when you work with me. Construction jobs come with inherent risks and the construction sites are the home to many of these risks. Most of the construction accident injuries may be classified under wrongful deaths, workers’ compensation or sometimes under product liability. Whichever the case, appropriate legal representation is needed so that the parties liable may be held accountable for the pain, injuries or damages they have caused. The types of compensation you may be awarded for construction injuries include property damage, lost wages, medical expenses, pain and suffering amongst others. The financial losses suffered by personal injury victims may be significant and may include medical bills and lost wages amongst other expenses. The ensuing financial burden may be overwhelming and this is the reason for seeking compensation from the at-fault parties in a court of law. Due to the dynamic nature of personal injuries, there may be no exact figure that may be attached to the value of the lawsuit. Each will vary based on a myriad of factors, and it is my duty as a personal injury lawyer in Orlando to help you secure the compensation you deserve. I look at all the merits of each case individually, including the evidence available and then build a watertight case to secure the maximum compensation possible. If you are a victim of personal injury of whatever form or nature, our offices are open and I gladly welcome you for a FREE case evaluation. Let me discuss your case for free. You don’t deserve the pain and the suffering because someone was negligent and didn’t act appropriately, leading to your injuries. Besides, you will not have to worry about paying any fees until we win. Contact me today and let us schedule a free consultation. 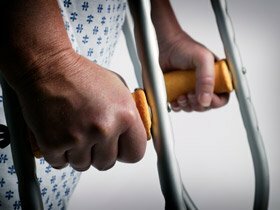 Personal injury claims do not have to involve the hassle and frustration that many inexperienced personal injury lawyers in Orlando will force you to endure. For decades, I have assisted victims of negligence with obtaining the closure a compensation that the law guarantees. With multiple convenient locations throughout Central Florida, I am always ready to personally serve you. Immediate consultations are available anytime at my office, the hospital, or even your home. If you think you have a personal injury case or are in need of legal advice, please do not hesitate to call one of my offices today and share your story. I am ready to listen and here to protect you and your family. Call today for a complimentary consultation.